Seven years ago, I completed a manual for college students who wanted to make much of Jesus. I entitled it Freshman 15. I wrote it because I kept answering the same questions to college students regarding living for Jesus. People in the ancient world spoke of giving weight to something as giving it glory or heightening it to a place of significance in one’s life. In your time at college, you will put on the freshmen fifteen. I would just recommend that you put it on in all the right places. What would it look like if you gave glory to Jesus Christ in every area of your life in college? 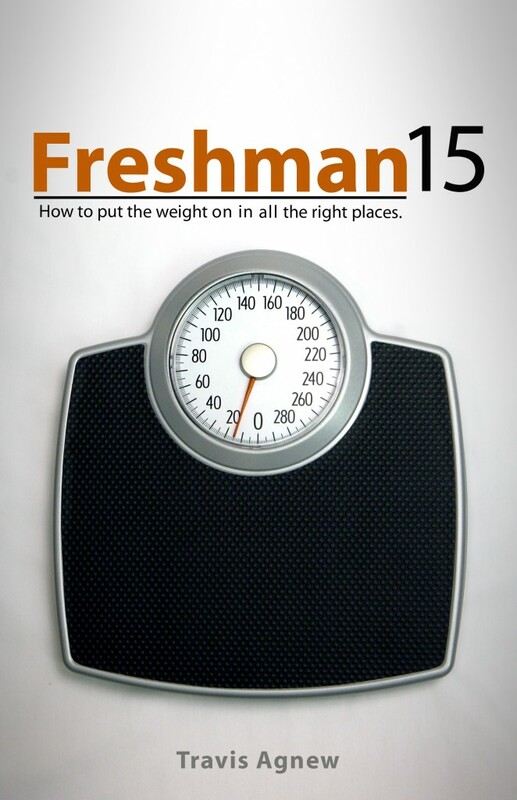 Freshman 15 contains fifteen specific areas in which college students can practically give Jesus weight or glory. Speaking for Fuge this summer, I was asked to bring books with me. I’m not a real good salesman especially in a ministry-type environment. I wouldn’t write something if I didn’t believe in it, but I just have a hard time promoting something I’ve worked on. Since I was going to bring a few copies of the 2 books I have written to camp, I decided to take a look over the 1st edition and a few pages in I realized that it needed a 2nd edition. Keep in mind, it is only 7 years old, but cultural references made it severely outdated. One of my best illustrations in it came from a MySpace example! Talk about how quick our culture can change! I cleaned some things up. I updated some sections, and I tried to remove cultural references that would be lost in another six months. I also decided to remove the original scale from the cover. Even though I loved the design, I had someone told me that she loved the book but she felt embarrassed walking around with it because it looked like she was reading a weight-loss book. The illustration worked so well though. Anyway, I gave it a face lift and an interior review, and I believe in these concepts more than ever. Collegiate Bible Studies. College Bible studies have used it as a 15-week course. Students read the chapter through the week and then they do the small group questions at the end of each chapter when they gather together. Freshman Seminars. North Greenville University has used it for their freshman seminars the last few years. This book has actually served as their textbook on a Christian campus educating new students concerning a Christian worldview. High School Studies. I have heard of high school seniors doing the study in preparation for college. Some Christian high schools have used it as a textbook, some churches have used it for Sunday School or even summer Bible studies. Graduation Gifts. I have heard family members and youth pastors give this book as a gift to graduating seniors. It was written based on the “fluffy” Christian reading I was given during that time. Individual Reading. While the application is geared towards college students, every age who is able to read needs to know about studying the Bible, choosing good friends, maintaining purity, etc. I have encouraged to hear that teenagers to even senior adults have gleaned biblical truths from the book. Obviously, the title sounds like it is geared towards solely college freshman, but the title more has to do with the cultural reference and the list of 15 key areas. I am thankful for the help it has been to those who have read it, and I pray that it will help another generation of college students. If you want a copy, you can get it here. I am looking into getting it as an eBook as well if I can figure it out and get the time to do it. I am also praying through future writing projects. I have 7 or so books I would love to write, but I just need to find the time! In the meantime, I pray this one can encourage you or someone you love!